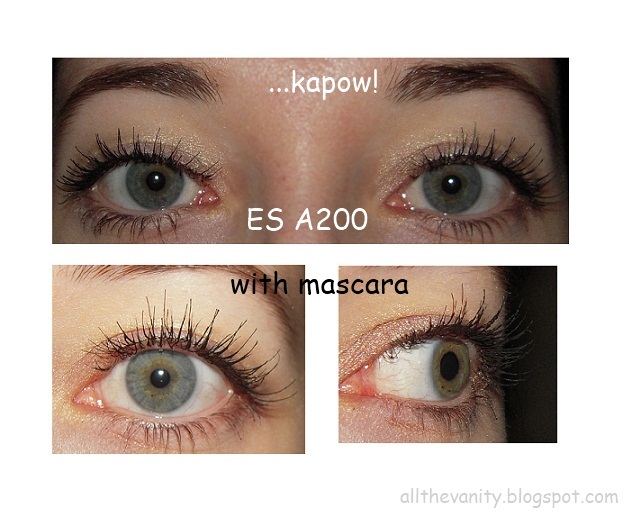 Experimenting with false eyelashes: ES Brand A200! Now, some of you might remember that one of my new year's makeup resolutions was to improve my fake lash application skills, so, when online shop KKcenterhk contacted me to review some of their lashes, I gladly accepted. The style I chose was A200 by the brand ES, one of their most natural looking pairs; you see, I much prefer it when the results don't give their fakeness right away - let's leave any onlookers wonder for a while I say! 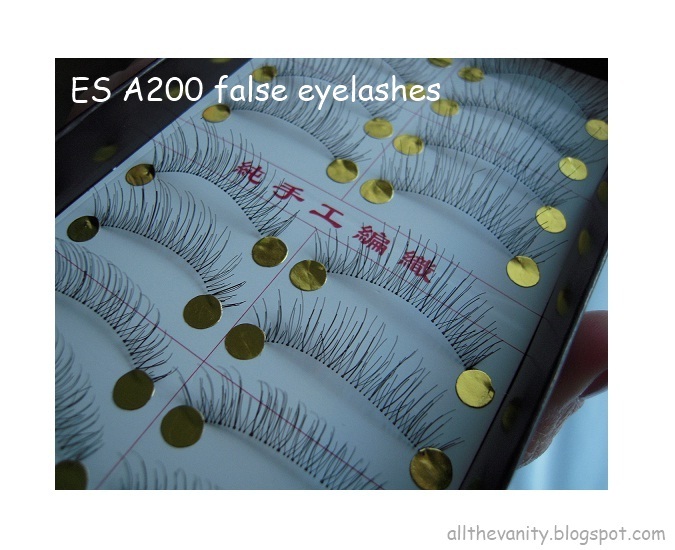 The A200's come in a box of 10 pairs, like most Asian brand lashes, and, as you can see on the photo above they are very subtle (for fake eyelashes, that is). The color is black, but not the fake-looking jet black nylon kind: I plesantly discovered that they look more like a very dark brown when hold against the light (meaning that even pale blondes like me can pass these off as their own!). Overall pretty good, I must say! The only thing that troubled me a bit was the clear band, as it extended for quite a few mm on each side of the lash (sth that you don't see with, say MAC ones, where the band stops right after the final lash hair), and I had to cut the excess wire before I put them on. But besides that, I bent them a couple of times and on they went! I placed them right where I wanted without much difficulty and found that they blended really nicely with my natural ones. They felt practically weightless on, another big plus. 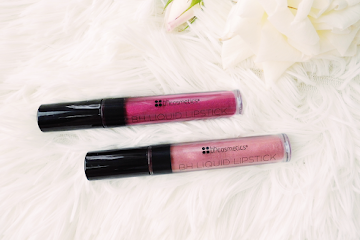 I'd say these focus primarily on adding length and not so much volume, so if you're going for the whole fullness effect, these may not be your cup of tea. But, if you're looking for something to wear on an everyday basis even, then look no further. And here's a few extra shots with mascara! You can see how long my lashes are here! And I truly mean it when I say that I could feel the ends of the lashes touching my eyebrows when looking up - scary long!!! Minus a few points for the band issue, these are really good lashes, that provide a very nice and flirty result, yet realistic and natural. I would definitely consider purchasing these when I run out, along with something more dramatic this time (I'm dyyying to try some of the feather styles that they carry). So, do you go for natural lashes or prefer the "out there" ones? 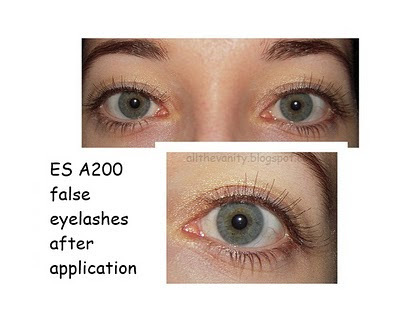 And do you have any fake lash tips a novice like myself could use? Have I told you that you have such beautiful eyes? ?And great review hun!I think the lashes are perfect for everyday as you said! !Oh and I dont think that you need extra skills or tips..you did an excellent job on your own! !Thanks for the review!going to check for sure!!! Exeis ontws poly omorfa matia! Oi blefarides fainontai poly kales k poly fysikes epishs..
Mallon egw tha thelhsw merika tips apo sena! @Mairyliscious: Ομολογω πως αν καποιος φοραει φακους επαφης ειναι πιο εξοικειωμενος με το να βαζει ενα ξενο αντικειμενο στα ματια του... Παντως το αποτελεσμα αξιζει! Απλα για αρχη καλυτερα πιστευω ειναι ενα σετ με μαλακη ταινια ωστε να μην τις αισθανεσαι κ να μην σου φαινονται πολυ ξενες...! Και πιστεψε με, η πρωτη φορα ειναι η δυσκολοτερη, μετα παιρνεις το κολαι! LOL! @Arietta: Yes, those are really great for a "I'm not wearing falsies" falsies look!!! That's nice that you got contacted to try them out complimentary. You did a great job for the lash application - I don't think you need any tips! Which glue did you end up using to apply them? I haven't tried any feather lashes that you're wanting to try out...I guess because I wouldn't know where to wear them out to? 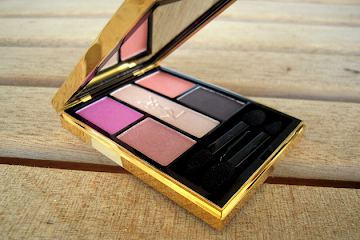 You know me - I go for the glamourous "out there" lashes :) My favourites are Ardell 107s which are really glam. I used my clear Duo glue (a newbie should always start with the best thing out there, that's my philosophy, haha)! You're right abt the feather lashes.. they are extemely theatrical.. but hey, it's carnival season here soon and they do look super pretty!!! And if all else fails, I could just put them on for a mega dramatic...blog look, lol! @cbsg5861: Aw, thank you darling!!! In reality though, my eye shape isn't as blessed, I need to jump through hoops to create a hint of a crease on my hooded lids! Yes, I love how u put it, if a guy doesn't notice, that's when the lashes are top stuff! Hehe! Ah I wish we had carnival season coming up! The feather lashes would look gorgeous and fun for that. 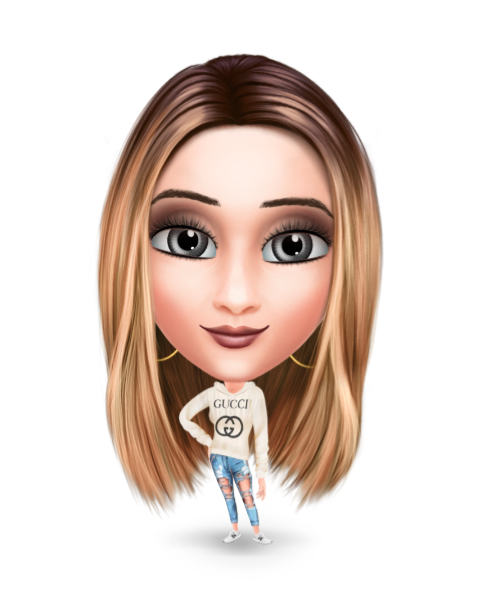 I found that the 107s were very dramatic when I first started using them but they were really good for smokey eye looks because with a dark smokey eye, fake lashes can get lost in the darkness of the shadow...the 107s don't get "lost" because they're so voluminous and have good length to them. The Ardell 103s are a less dramatic version of the 107s but still very nice (my 2nd favourite I think!). The eyeshadows...the glitter... and a dupe!!! Tips on depotting your MAC blushes!